Remember when I talked about myCharge a few weeks ago? I can do hard things, but I CANNOT do easy things. Seriously, I can sit and write, but I can't share on Facebook? Really, Meredith? myCharge. Phones. Phones with batteries that run out way too fast. And always at inopportune moments. I've been taking a ton of pictures on my phone lately. Reagan is in a new phase where she does not want her picture taken, so if you want to capture her adorable little face, you need to stealthily take as many pictures as you can, hoping she'll look your way and you'll manage to catch one before she starts yelling "No! No picture!". And Madison is in a phase where she loves getting her picture taken, and basically goes into superstar mode, which would be fine if she could pose WITHOUT MOVING. I have ten thousand pictures of the back of Reagan's head and ten thousand blurry pictures of Madison tossing her hair and dancing around. And I pretty much always have my camera on, ready and waiting. All this picture taking is depleting my battery much quicker than usual, and since I basically run my life from my phone, my battery doesn't last that long to begin with. This isn't a big deal at home, since I can plug in and get the juice I need, but on the go, it's becoming an issue. At Madison's dance thing this past weekend, my phone was getting quite a workout from searching for a signal or wifi (there was none) and acting as my camera and video recorder. But after participating the myCharge giveaway, I had a little power pack that worked beautifully. It charged my phone quickly, getting me well out of the red before Madison appeared onstage and I needed my phone to functional again. I love this thing. It's easy to have with me, easy to use, and totally effective. 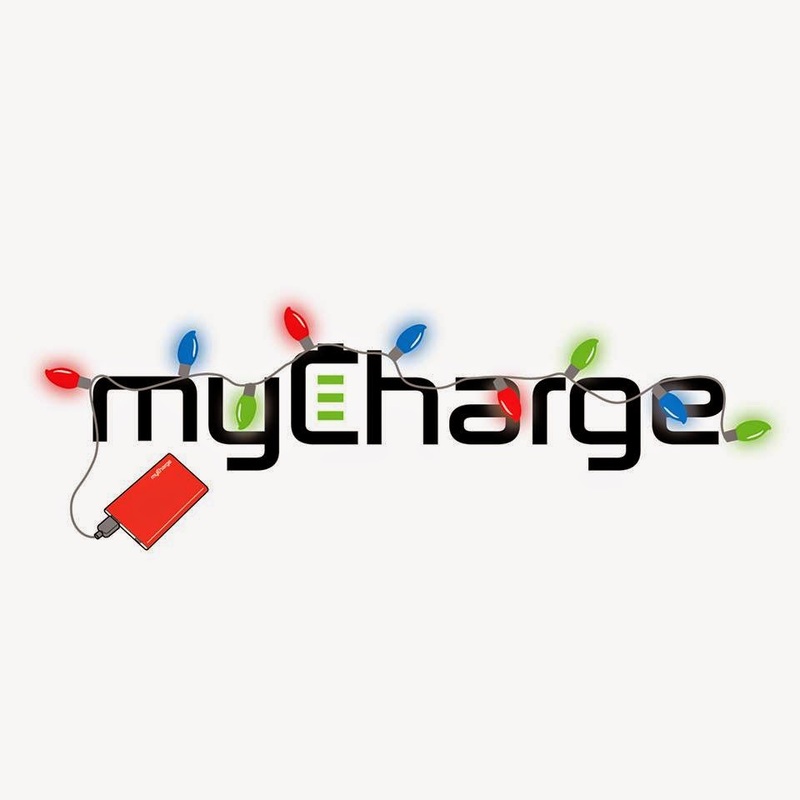 myCharge is clearly in a festive mood, because they are running a campaign, #myChargeCheer, right now where they are giving away their portable chargers. Seriously. They are giving them away. For free. No catch. #myChargeCheer indeed. Well, you do have to do one thing. If you're on Twitter, pop over to this status and re-tweet it. That's it. Retweet this status and they'll send you a message asking for your address so they can send you your free portable charger. No. Other. Catches. You can follow them at @myChargePower, but you don't even have to. If you're not on Twitter, it's worth signing up just to get this thing (and of course, follow me, where, because I can't do easy things, you won't have many tweets to read). I did it, because it's never a bad idea to have a back up to your back up. And in case that feels like overkill, it makes a perfect stocking stuffer. I'm also giving away a free Red RazorPlus. This is a rechargeable 3000 mAh battery that delivers an additional thirteen hours of talk time to your smartphone. Here's how you can win the RazorPlus. 1) Comment on this post, telling me why you need more power this holiday season. 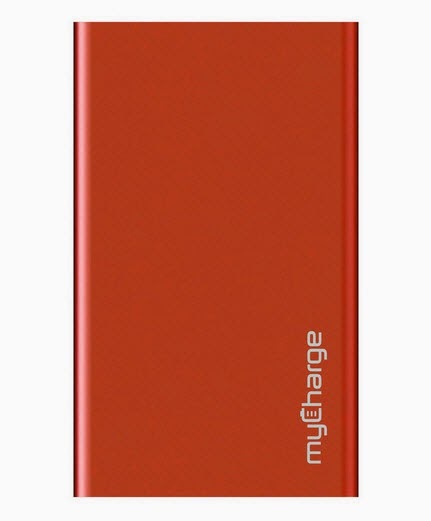 2) Head to twitter, retweet the #mychargecheer status to get your free portable charger, and leave a second comment telling me you did. 3) Head over to this status on Facebook and comment with a picture of your favorite December moment you've captured on your phone so far (or your tablet, or whatever else you use to take your candid shots). It could be a beautifully dressed two year old, standing in front of a beautiful tree, vehemently trying to get you to stop taking her picture. Or, you know, whatever you're capturing. Then leave me a THIRD comment telling me you did that. You can choose one option, two, or all three. That's it. I'll pick the winner randomly Friday night at 9:00. Then you'll spend the rest of December as cool and collected as this lady. More power = More cheer. 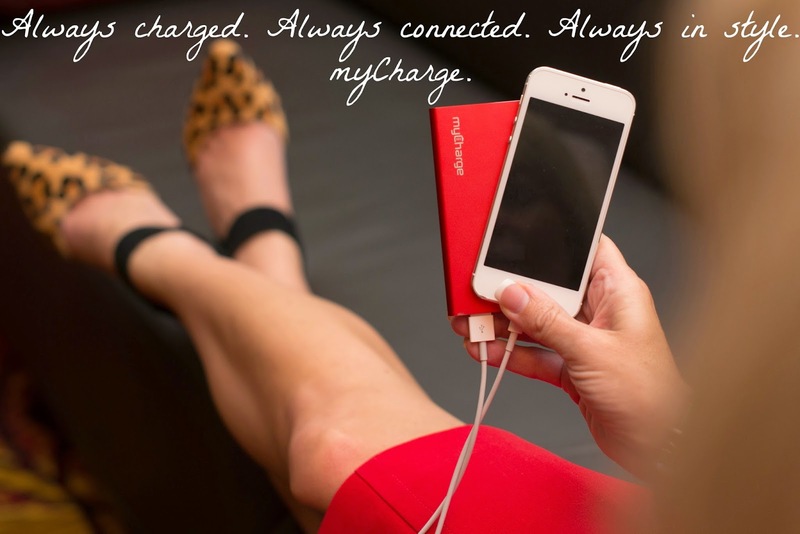 In case you need even MORE power, or MORE stocking stuffers, or you just don't have faith that you'll win and you want the pretty red RazorPlus, myCharge is running a promo where you get 25% everything with the code JOLLY.